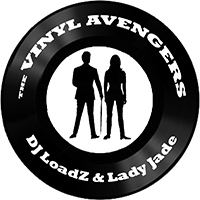 £12 weekend tickets from Vinyl Avengers, Snooty Fox & Phoenix Sounds. Athenaeum St, PL1 2RH 01752 226914 Good dance floor, plenty of seating. 14-16 Hoxton Rd TQ1 1JQ 01803 293726 Members & guest list only. Text to get on the limited guest list 07737 323007. BH Mon 6 May: Waterside, PAIGNTON (2-6pm) 128 Dartmouth Rd, Goodrington, TQ4 6ND 01803 551113 Food avbl, good dance floor. 89-91 Fore St, TQ1 4PZ 01803 323312 Great dance floor at this venue! Fri 18 Oct: Fairway Buoy, WESTWARD HO!